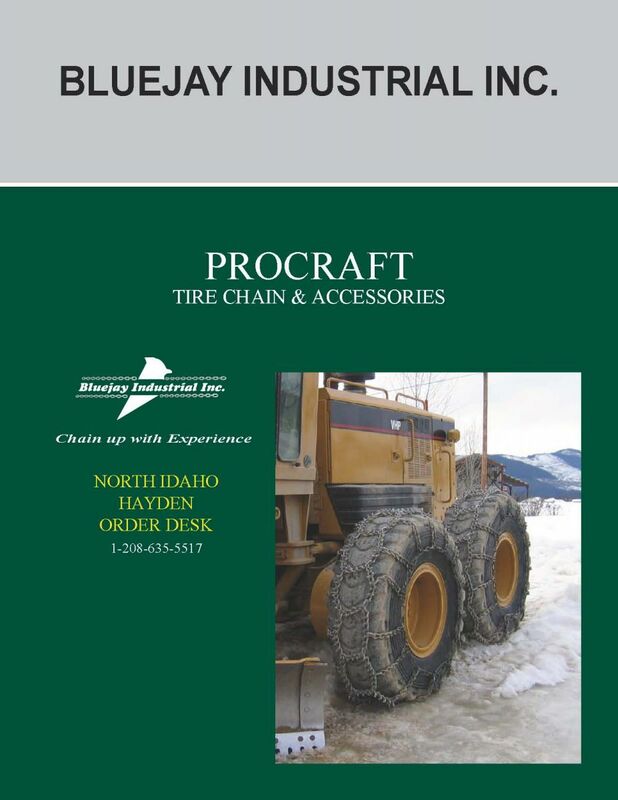 Bluejay Industrial is a full-line supplier of all winter traction chains. Offering traction devices from Garden Tractor to large Skidder & Loader Vehicles. We have cable chains, twist link regular chains, v-bar, square link, and studded chains. Going the extra mile, we also carry Scorpion Studded Off-road Tire Chains. Scorpion is our designation for extremely aggressive studded traction chains that should not be used on paved roads. It is available in ATV, Light Truck, Heavy Truck, Grader, Loader, and Skidder designs.